What’s your dream kitchen? If you answered “what animators thought a stereotypical suburban kitchen in middle-America looked like in the late 1980s,” then you have the same dream as Marcia Andreychuk and Joel Hamilton. 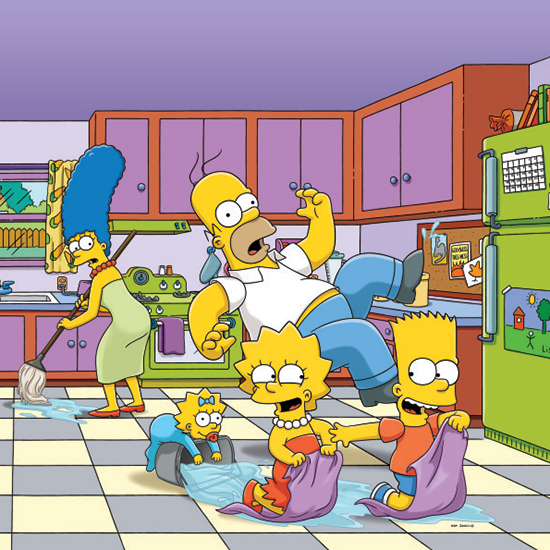 The couple in Calgary successfully transformed their kitchen to make it look like the iconic room from The Simpsons. From the purple cabinet doors to the signature corn cob curtains (which, remarkably, they were able to find a near-exact replica of), these two Canadians are doing everything they can to Simpson-ify their cooking space—outside of literally tearing down the walls to get the window closer to the stove. The basics of the transformation were surprisingly cheap. Colored contact paper helped make quick work of the countertops, cabinets and even the stovetop—though Andreychuck said they’re hoping to replace the appliances with brand-new retro-looking appliances in the future. She’s even swapping out handles with cartoonish doorknobs. Andreychuk joked that their next big project is going to be to transform their basement into Moe’s Tavern. Um, Moe’s Tavern isn’t in the Simpsons’ basement; it’s down the street. Let’s keep things canon, people!